The former Allure restaurant space at 825 4th Avenue in downtown San Diego has been scooped up by Teresa Buccolo, chef and owner of the now-defunct Mamma Teresa Ristorante Italiano in Poway, who will open Italia Mia - A Taste Of Italy in early February. Like Poway's Mamma Teresa, which quietly shuttered in 2016, Italia Mia will offer a menu with dishes inspired by family recipes that blend Northern and Southern Italian influences. Owner Teresa Buccolo is originally a native of Naples who moved northward to the Reggio Emilia area of Italy after graduating from high school, where she attended culinary school. She even has a restaurant named Mamma Teresa in the region that is now run by her older brother. Teresa moved to San Diego in 2009 after visiting a friend in Poway. Expect a menu spanning everything from appetizers to salads, to pasta and entrees, including homemade bread and pastas with many of the ingredients being imported from Italy. The restaurant will also have a full bar. 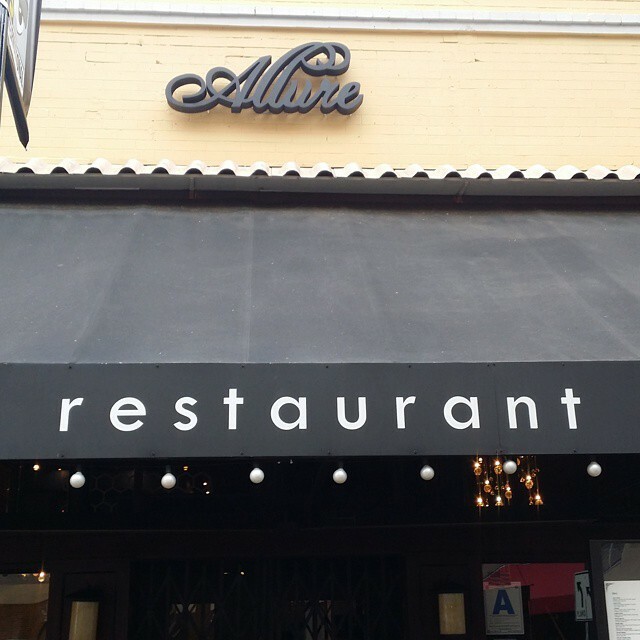 The 2,300 square foot space in downtown San Diego that housed Allure Restaurant for 2.5 years (close late 2016) is currently receiving a renovation and is anticipated to open mid-February.